Amid an FBI investigation, a wave of resignations and widespread concerns that state agencies are awarding sweetheart deals to private vendors, Texas lawmakers vowed this session to beef up oversight of billions in state contracts. Four months later, the debate has narrowed to a batch of measures that some lawmakers are framing as an initial step in a process that will continue in 2017. Contracting concerns have focused largely on the Health and Human Services Commission following revelations regarding several questionable contracts, most notably a $20 million Medicaid fraud tracking software deal with Austin-based 21CT that was not competitively bid. State Auditor John Keel also raised questions late last year about a multimillion-dollar AT&T telephone services contract that was managed sloppily and suffered from undisclosed conflicts of interest. There have also been allegations of corruption surrounding border security contracts signed by the Department of Public Safety and questions of competence related to a toll services contract between the Texas Department of Transportation and Xerox. There is broad agreement among lawmakers that the state is doing a poor job of managing thousands of contracts. Over multiple committee hearings this session, lawmakers have learned that no one in state government has a good handle on all of the state’s contracts. Oversight of contracts across agencies is scattered and inconsistent, particularly after a contract is signed and a private vendor is expected to deliver goods or services. “Basically what’s occurring today is there’s no oversight once the contract is approved,” House Appropriations Chairman John Otto, R-Dayton, told House lawmakers this month before a vote on House Bill 15. 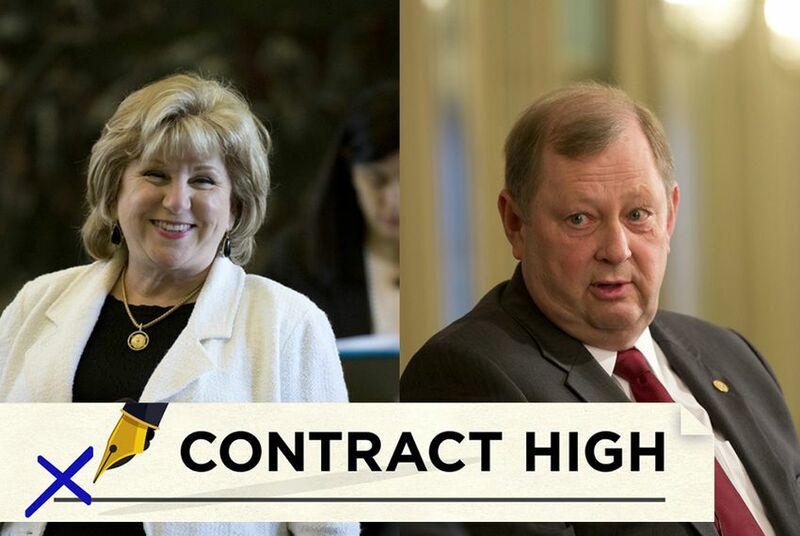 The bill would make several changes to how the state oversees contracting, particularly the Contract Advisory Team, which is charged with reviewing contracts valued at $10 million or more. Otto’s bill, which passed out of the House and is awaiting a hearing in the Senate, would move the team from the comptroller’s office to the Legislative Budget Board and have the team review contracts worth less than $10 million that have “high-risk” factors such as those with agencies that have had recent contracting problems. He would also empower the team to recommend to the governor and comptroller that troubled contracts be canceled. Senate Finance Chairwoman Jane Nelson has favored keeping the team with the comptroller but expanding its membership from six to nine members and beefing up its oversight of contracts. Yet after passing Senate Bill 20 out of the Senate, that portion of her bill was stripped out by its House sponsor, Rep. Walter “Four” Price, R-Amarillo, who expressed concern that the Legislature was moving too fast on contracting reform. “We pulled that out of the committee substitute, but we continue to work on it,” Price said. "That’s one of the sections, because there was so much input that gave us pause." A request for comment from Nelson’s office was not returned Wednesday. SB 20 would still require agencies to better evaluate how vendors perform and ban those with a history of poor ratings. It would also require agencies to shop around when making purchases of $50,000 or more through the Texas Department of Information Resources Cooperative Contracts program, a centralized list of approved state vendors that HHSC used to hire 21CT. Otto’s and Nelson’s contracting bills have drawn the most attention this session, but several others remain in play, including two from state Sen. Judith Zaffirini, D-Laredo, both of which are now in the House. Senate Bill 543 would have agencies conduct more audits of their contracts, competitively rebid contracts more often and create a system to monitor contractor performance. Senate Bill 1638 would require that state employees involved in contracting receive more training on procurement. Zaffirini said that second bill could be the most impactful of the session, given concerns that state employees are routinely outgunned in negotiations against experienced corporate lawyers. Zaffirini’s bills are variations of measures she’s proposed in previous sessions over the last decade. Most of the ideas in other contracting bills this session have also been proposed in the past in bills that failed to gain traction. Zaffirini said it’s the publicity around contracting scandals that has changed the conversation. Yet she expressed concern that the spotlight on the issue won’t carry over to the next session, despite efforts by some lawmakers to continue working on the issue. “Publicity generates interest, but when the publicity dies down, the interest may die down, too,” Zaffirini said.